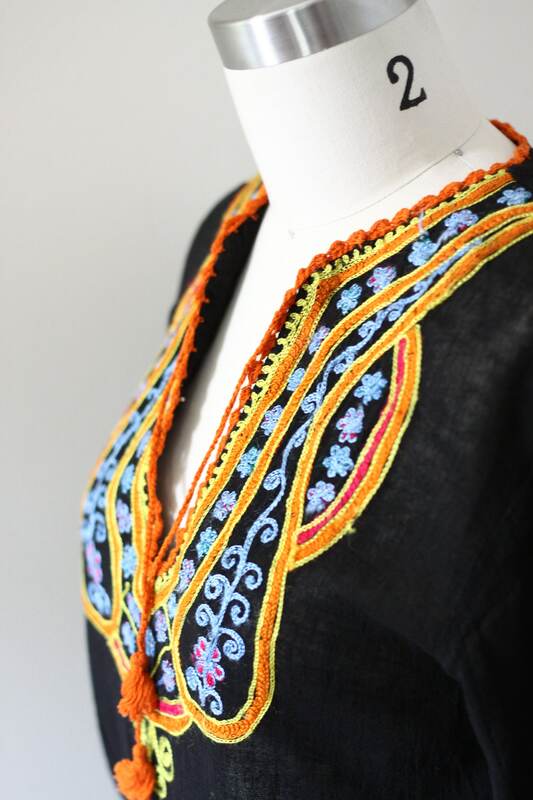 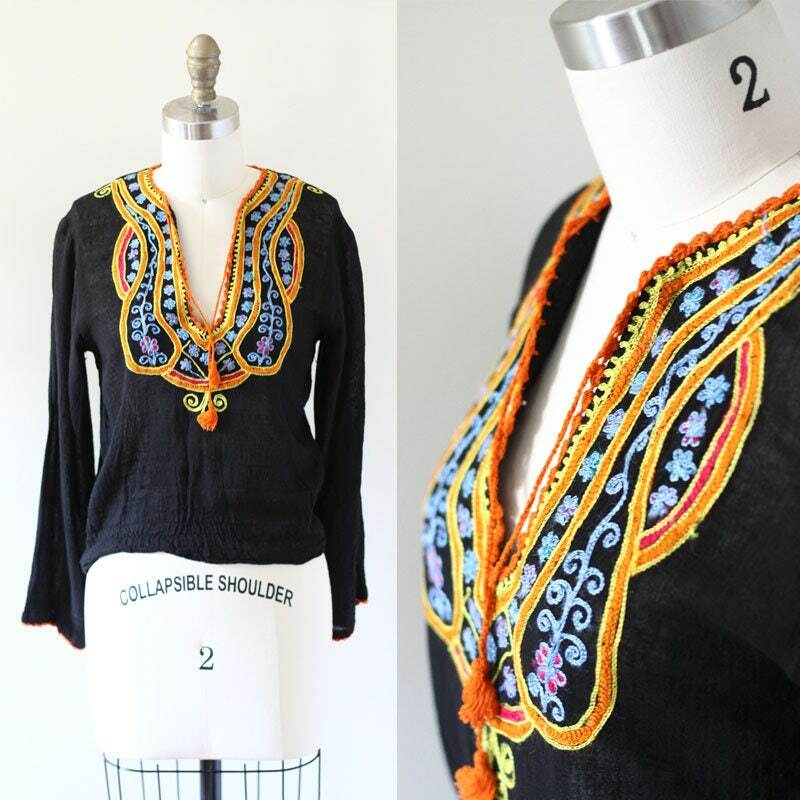 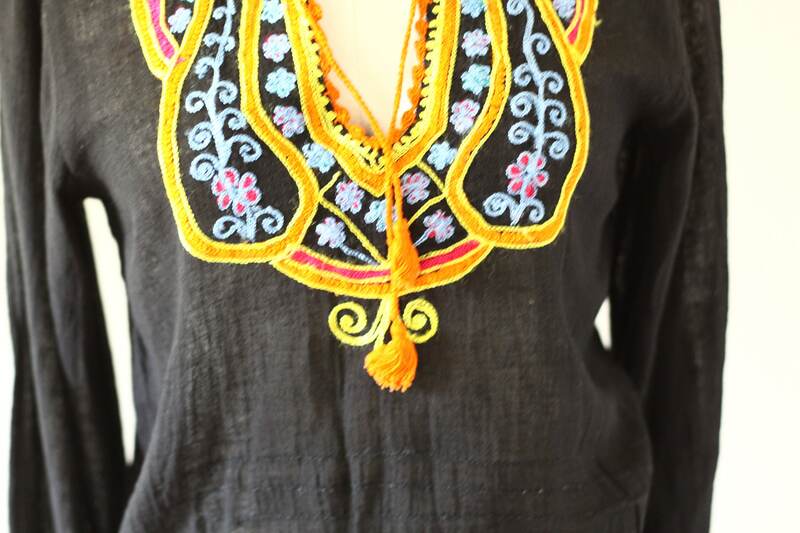 Beautiful 1970s boho top with amazing embroidered details on the chest. 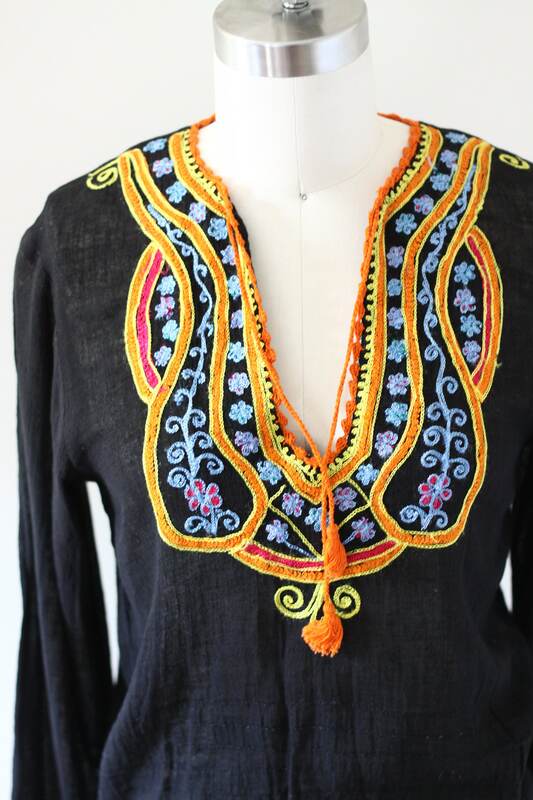 Bright yellows, blues, and oranges throughout the embroidery. 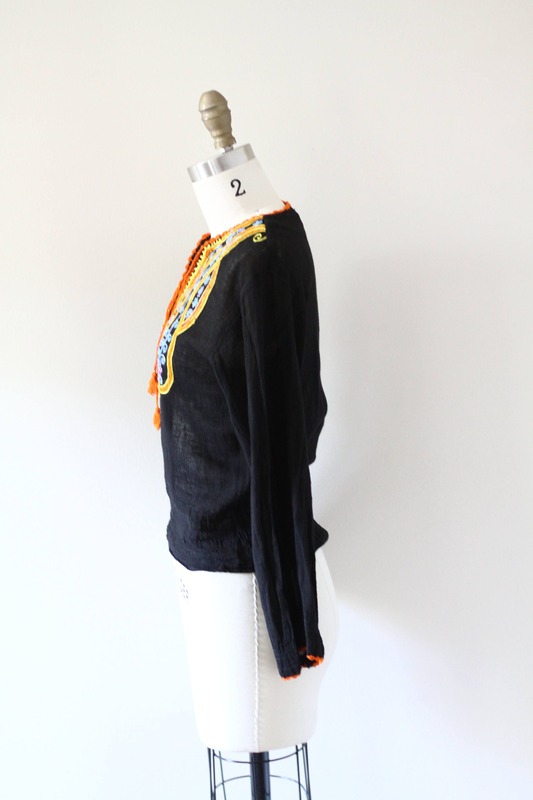 Two orange tassels on draw strings drape the chest. 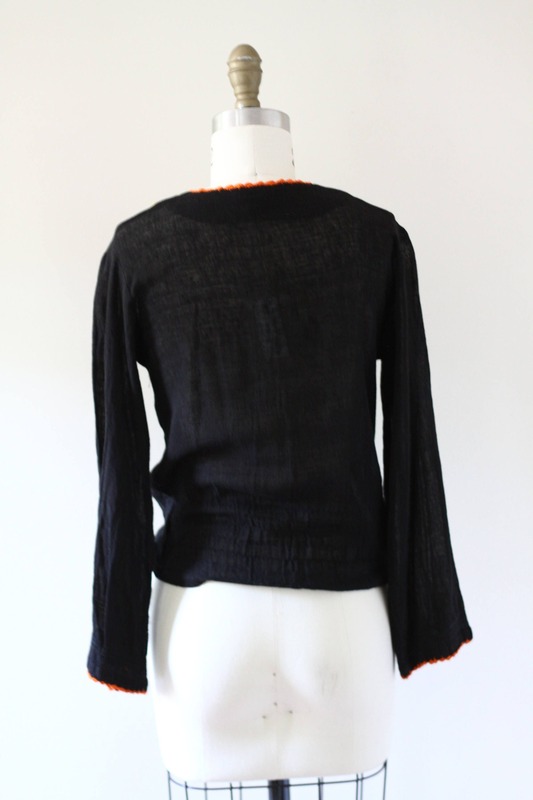 The base of the top has a very light elastic stitching around it so sits a bit tighter at the waist.